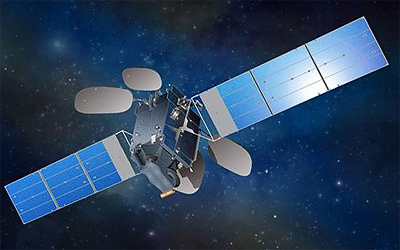 The Indonesian BRIsat (Bank Rakyat Indonesia Satellite) is a communications satellite for banking purposes to be built by Space Systems/Loral for Bank Rakyat Indonesia (BRI). The bank has signed a Memorandum of Understanding with Space System/Loral, LLC (SSL) from US and ArianeSpace from France in April 2014. BRIsat was built on SSL's SSL-1300 bus carrying 45 transponders, which cover areas in Indonesia, ASEAN, North east of Asia, some Pacific area and West Australia. From its orbital position at 150.5° East, it delivers highly reliable communications services to BRI's 11,000 bank branches across the Indonesian archipelago. The satellite was launched in June 2016 by a Ariane-5ECA rocket from Kourou.